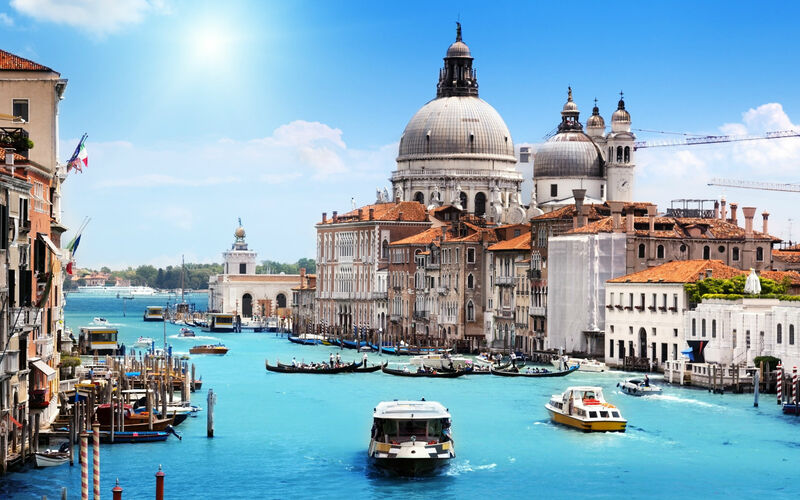 Venice is a city with so much to do and see that when including Venice as a port of call on a luxury yacht charter; be sure to stay and enjoy Venice, enjoying especially that which can only be experienced in Venice. With the location expertise of Northrop and Johnson Yacht Charters, a yacht charter visit to Venice can be a mystical magical experience starting with a private, just for you, visit after dark to the famous St. Mark’s Cathedral for a viewing of the extraordinary gold mosaic ceiling by spot light; followed by a luxury motor yacht water taxi cruise to Palazzo Nani Bernardo, built in 1550 on the Grand Canal, for a private dinner. 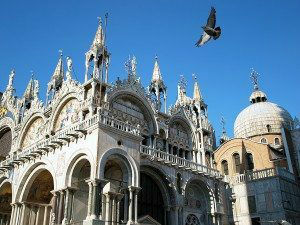 Anchoring the eastern end of the Piazza San Marco, and adjacent to the Doge’s Palace is the Cathedral of St. Mark. 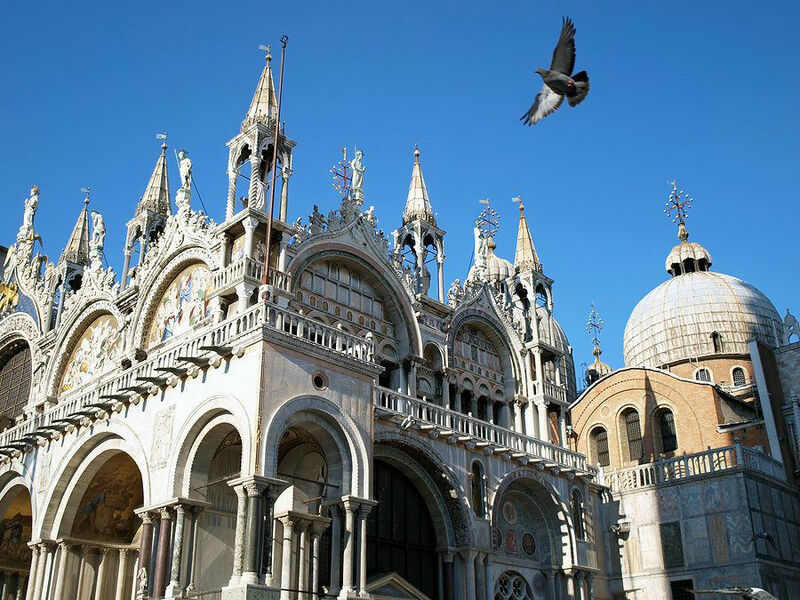 Originally built as a small private Doge’s Chapel, today after having undergone many changes over the centuries, St. Mark Cathedral is considered one of the top examples of Italo-Byzantine Architecture. Due to the gold backed glass tile mosaics covering the ceilings and some of the upper walls, which were installed over the years starting from the 11th century, the cathedral has been known as Chiesa d’Oro (Church of Gold). It is these fabulous gold glass tile mosaics depicting religious stories and symbols that are so extraordinary and unique to St. Marks. Each small tile was backed with gold leaf or gold powder and then cut on the surface and laid unevenly in the plaster behind so that each tile with a gold backing would better reflect light to add brightness to the interior of the cathedral. A very busy church in the daytime, visited by long lines of tourists; at night, the church is always empty which is certainly the best time to visit. A private viewing can be arranged where you would meet a church priest at a private side door opened with a huge set of keys. The priest will lead you into the dark interior to the center of the church, where the entire gold mosaic ceiling will be suddenly and completely lit with spotlights. This is an awe inspiring site that few will ever experience. 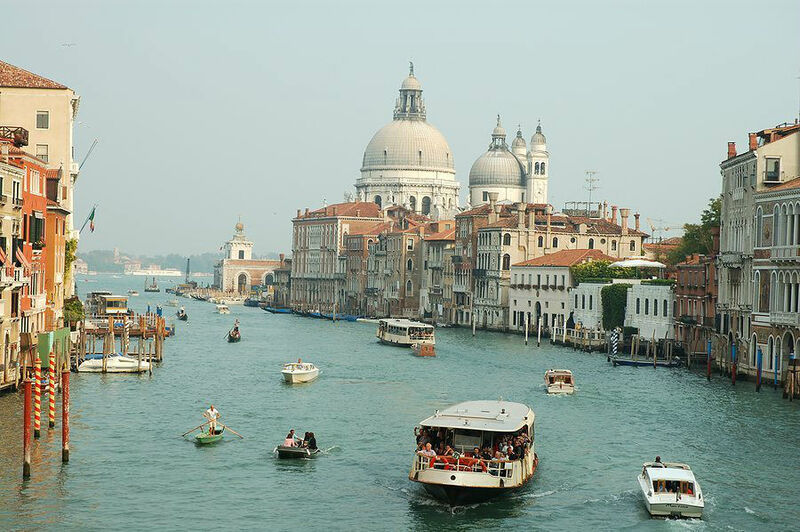 After seeing the gold mosaic ceilings in St. Mark’s Cathedral in such a special manner, a luxury water taxi will be waiting for you on the Grand Canal to take you to the water entrance of Palazzo Nani Bernardo. Pull up to the entrance of this beautifully lit palazzo and enter just as everyone else has entered over the centuries, from your water craft docked on the Grand Canal at the front doors of the palazzo. Palazzo Nani Bernardo is filled with antiques, Murano chandeliers and mirrors. Enjoy a cocktail in the beautiful garden, a private catered dinner in the Piano Nobile, and then after dinner wander the palazzo with your after dinner cordial. Experience an evening in the life of a wealthy Venetian by enjoying a private dinner at a Venetian Palazzo built in the mid-16th century. 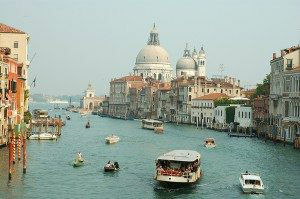 These are very special events able to be organized by Northrop and Johnson Yacht Charters in Venice. And as with any special event, reservations must be made and made well in advance. 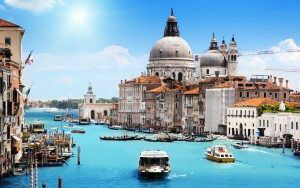 So ask about a private spot lit viewing of the gold tiled ceiling of St. Mark’s Cathedral and dinner in a private 16th century palazzo on the Grand Canal, when organizing your luxury #yachtcharter visit to Venice, Italy.